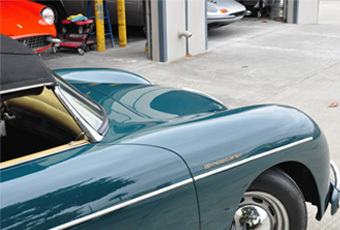 Ryan Pimentel has had the honor of restoring and repairing many rare and very exotic vehicles during his 20 years of experience in the automotive industry. This has provided us the privilege of developing many valued relationships with the most knowledgeable and respected craftsmen, collectors and historians. Ryan’s love for both automobiles and art has guided his career through managing many Pebble Beach Concours d’ Elegance, Cavallino Classic and Concorso d’ Eleganza Villa d’ Este award winning projects, to judging for the Ferrari Club, to founding Pimentel Innovations in 2015. While Ryan’s expertise lies with vintage Ferraris and both Pre War and Post War French automobiles, he shares his passion with classic American automobiles and always provides the highest quality finished product. A full restoration is an honor that Ryan has the most experience with when it comes to touching an automobile. He has always valued and respected every historical detail of each project and this is what produces award winning automobiles at the world’s most respected concourses. 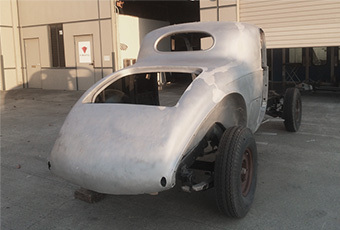 Pimentel Innovations holds the resources and relationships that are required when restoring a vintage automobile. Ryan possesses the eye and knowledge to help you procure your needed authentic parts and pieces to create a stunning, and historically accurate, award winning treasure. Pimentel Innovations approaches every project with your desires as its foundation. We pride ourselves in providing our clients with their vision. 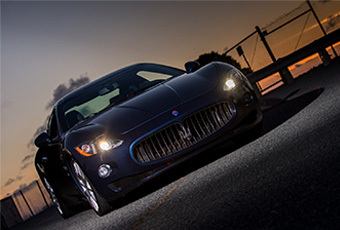 Ryan’s expertise and experience working with multi-million dollar exotics provides Pimentel Innovations with the highest regarded techniques that produce detailed, timeless results. Whether you require customization, repairs and touchups, a fresh and pristine paint job with flawless body work, or a full restoration to produce an award winning automobile, we know how to produce what you desire and we can guide you through all of your options to realize your most exceptional project completion. © 2016 Pimentel Innovations. All Rights Reserved.